*FIRST CLASS FREE for locals* Our signature program offering "Fitness for Mom, Fun for Baby™"! *FIRST CLASS FREE for locals* A unique blend of barre, pilates, yoga, and ballet combined with all the things you love about Stroller Strides! *FIRST CLASS FREE for locals* Strides 360 promises a heart­ pumping workout designed to increase your endurance while also developing speed, agility, and quickness to help you sprint through life! Bodyweight conditioning is strategically placed to provide recovery, strength and round out your workout. A great compliment to our strength training programs! Enjoy fun and playful activities with your child and build a tight community of like minded moms to share advice, tips and most importantly laughter. *FIRST CLASS FREE for locals* Fit4Baby® is a program designed to strengthen the body for all the changes it will experience during pregnancy. These classes exclusively focus on pregnant moms! MamaWell by FIT4MOM is the ultimate prenatal and postpartum wellness guide. Learn how to safely to move throughout your pregnancy and nourish your body and spirit while you gather knowledge from top pre and postnatal experts. Body Back® TRANSFORMATION is an all-inclusive, results based program that combines twice-weekly small group classes of high-intensity interval training (HIIT) with at-home supplemental workouts, meal plans and a food diary, online coaching, and "before and after" fitness assessments/measurements. *FIRST CLASS FREE for locals* Body Ignite is a one-stop body shock. Targeting each and every muscle with specially designed sequences and a weighted bar will leave you stronger and begging for more! Dedicated core and flexibility work are also included to help you move and feel better- the perfect compliment to any cardio workout or activity you currently enjoy! Get a taste of our high intensity interval training workouts! Take your running to the next level with our new 13 week guided endurance training program with included cross training! Whether you’re training for a specific running goal such as a 5K, 10K, or a half marathon, or simply want the support and structure of a run-training program, we provide both at-home and in-person opportunities to train, learn, and improve your running game. Not just for moms, this program is perfect for any woman looking to connect with a supportive running community. 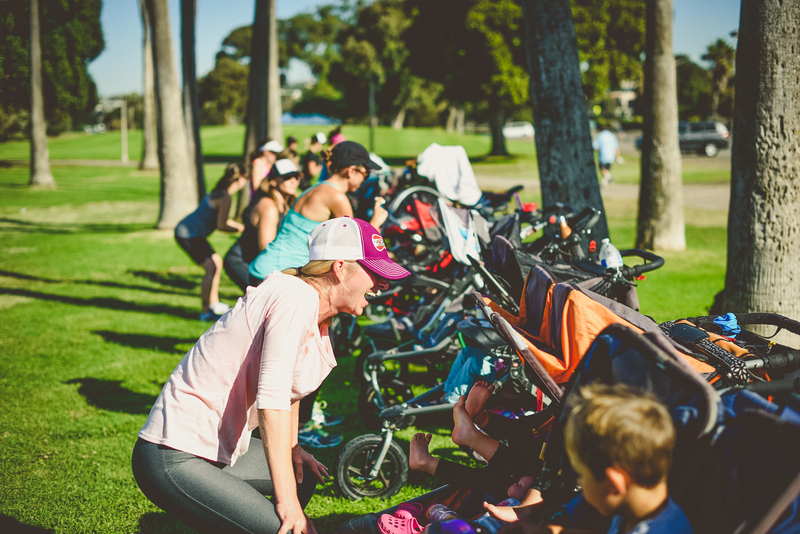 Most training runs however offer stroller friendly routes for those who might need to bring along their little workout buddy for those runs. Looking to train for an upcoming race but need to do it on a more flexible schedule? Our Run Club+ DIY offers our digital race training plan (emailed directly to your inbox) specific to your desired mileage along with access to our online virtual support group with tips, resources and more! Join us for our Community Fun Run designed for you, your family, as well as your friends! Runners, walkers, and joggers of all ages are invited to join in a fun, guided run and community event. This meet up is FREE and open to the entire community- you don’t need to be an active FIT4MOM member to join us and all experience levels welcomed! We celebrate moms EVERYDAY... and are thrilled to host a special Mother's Day event on Saturday May 11th at Downtown Summerlin. Join us for a FREE Stroller Strides workout, FREE professional Mommy & Me photos, FREE Mommy Swag Bags for the first 100 Moms, amazing raffle giveaways, post workout surprises for all of our Moms, and a lineup of activities for toddlers including face painting/balloon artist, interactive demos and more! Bring the whole family for a fun Stroller Strides Family Day workout at locations across the Valley! Get your heart racing with 60 minutes of High Intensity Interval Training (HIIT) set to the hottest beats with DJ ToneArmz! We'll wrap up with a cool down, stretch and meditation that'll leave you feeling renewed and empowered! Extend your 'Ladies Night Out' evening with post workout sips and light bites. Stay tuned for more details! Join FIT4MOM Las Vegas at Tivoli Village for a fun filled day for you and your kiddos! It's time for FITNESS ON THE LAWN 2019!!! Join FIT4MOM on The Lawn at Downtown Summerlin for our signature HIIT workout set to the hottest beats! Calling all MOMS... Join FIT4MOM Las Vegas for a morning of Strides & Brunch with Makers & Finders!